If you prefer a Chablis where the fruit is expressed naturally unfettered by oak then you will appreciate the Chablis wines of Clotilde Davenne, including this 2012 vintage wine, since she avoids the use of wood completely in her cellar and allows the wines to speak of their individual ‘terroirs’. These are wines of real purity and definition unsullied by the artifices of cosmetic wine-making, realised by the hand of a skilled and sensitive ‘vigneronne’. 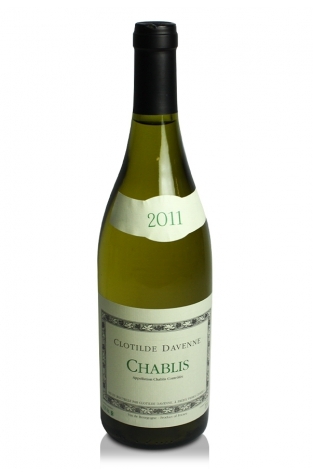 Her small cellar is tucked away in the hamlet of Prehy, the southernmost of the Chablis communes. After 17 years as oenologist at the much larger cellars of Jean-Marc Brocard, she has proved herself more than capable of launching out on her own, exploiting the growing domaine of Les Temps Perdu and buying in grapes from other selected vineyards when the opportunity arises.